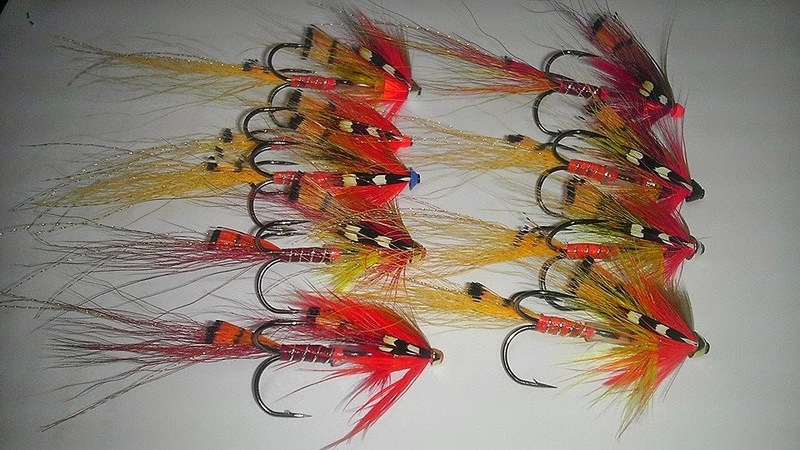 Salmon fishing season on rivers Chavanga, Strelna and Varzuga begins in May. This period is characterized by high water levels in rivers, cold water and big quantity of fish. With the increase of water temperature of 6-8 C salmon becomes active and reacts to artificial flies. Therefore, for many anglers last May - first June weeks are the best start to the season. The problem is that spring comes every time another. Therefore, the situation on the river almost never repeated. Keep in mind that the simplest combination of temperature and water level is complicated because we have to take into account a host of other factors. One of the most important is the dynamics of these factors. For example, the high temperature of 18-20 degrees is not a threat to the activity of the fish. But if the temperature is increased in a few days, then it will lead to a significant decrease in activity. This is the case in the spring, a sharp change in transparency, water level and temperature decreases fish activity. A very important factor is the state of the rivers in the winter. Especially dangerous are hard frost and freezing of the rivers. Drastically reduces the number of suitable sites for salmon. A considerable part of the fish may die under the ice.. The transition from winter to spring is often strongly influenced on spring fishing. The rapid melting of snow and ice leads to a very intense lifting and movement of water and ice. Traffic jams of ice, which is deprived of the salmon sites. Part of the fish is killed by stormy spring break. For these reasons, the behavior of salmon in the new season may significantly differ from the picture that we remember from last year. The fish can be different in temperament, others positions in the river, and a completely different reaction to our flies. Therefore, our last year's technique, fly, which we had placed so much hope, work is not as good as last year. Every year we have to try to understand what has changed in the river, what factors were decisive for the behavior of salmon. Then we have a chance to choose the right tactics for fishing, identify promising places to find the best equipment and gear. The main problem that we face in the spring - is a high water level. In a large volume of water is difficult to navigate and find parking salmon. The river changes its nature, salmon chooses way to go up the river and places to stay that are not obvious to us . Most often we have to use tackles that can bring our fly closer to the bottom. Here there are four choices,1. 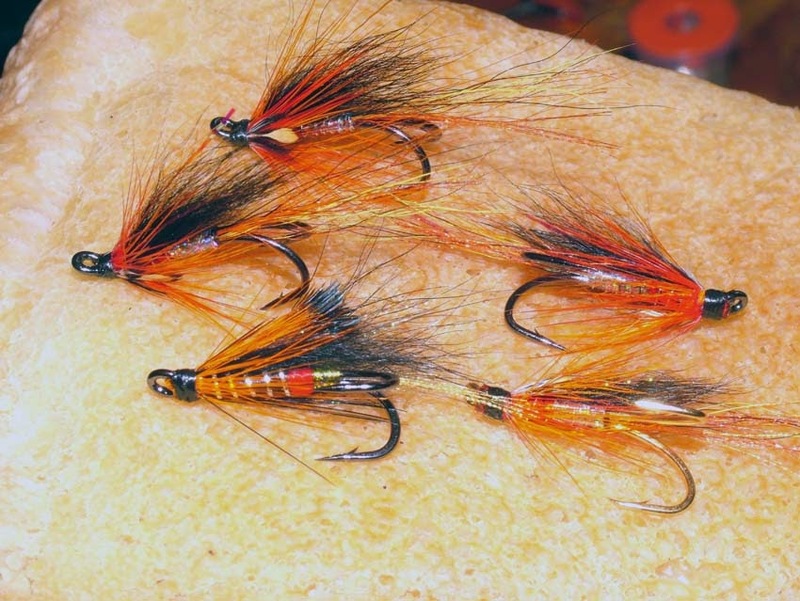 use a heavy line (leader) and a heavy fly -.2. use only heavy line,3. 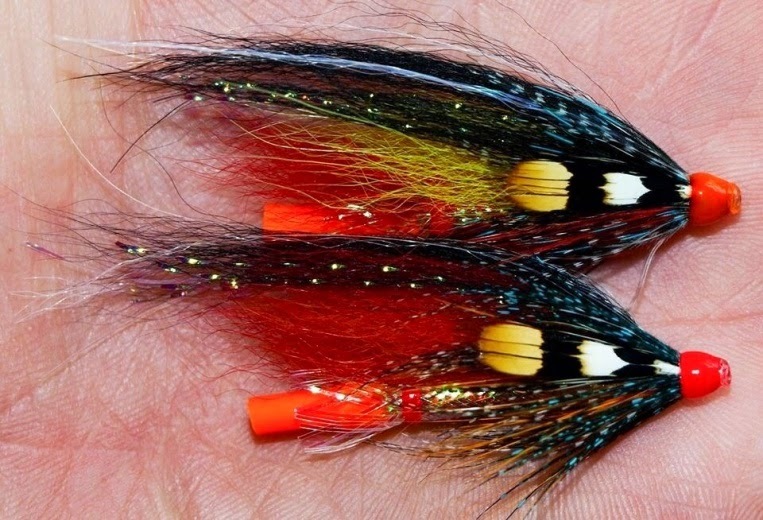 use a heavy fly on a floating line 4. and use special techniques presentations that allow you to omit the fly sink. 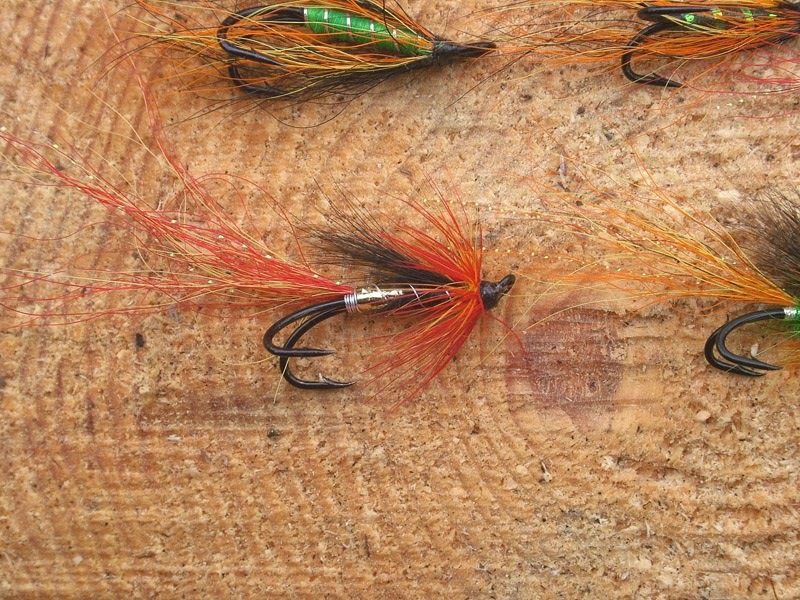 The correct choice between these options or the right combination determines the success of catching salmon. 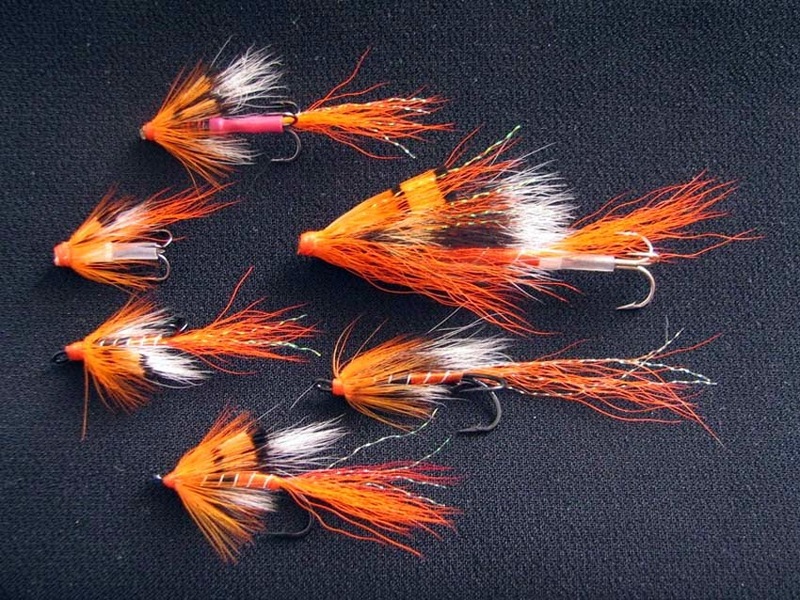 Given my own experience, I would suggest using a normal fly on a sinking line for use in such areas of the river where we can not confidently know where salmons are staying. . In this case, we have to present the fly over a wide area. This option is suitable for fishing on the broad reach, it allows you to quickly test a large area. Sometimes we find a good place in which salmon attack one after the other. With high water levels cause accumulation of fish in a certain place is not clear to us. But in the summer, we often find in this place - for example - a few individual stones that served as a hiding place for salmon in the spring. If we know in advance about the existence of such anomalies at the bottom, we can greatly narrow down your search and do not waste time fishing in unpromising places of the river. This is the right place to apply the floating line and heavy flies. 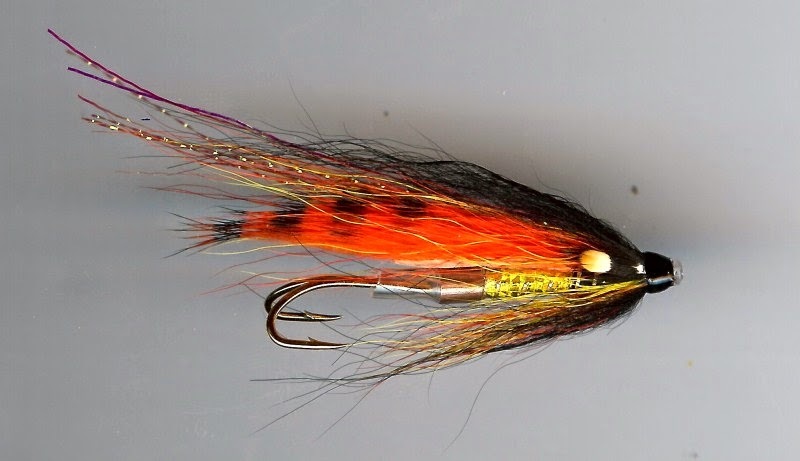 Floating line facilitates casting and management of fly, and weight allows it to fly down towards the bottom. In this situation, we do not need to check large area, we can focus on fishing in a particular location. If we can apply the casting upstream or casting slack line, we will be able to deep the fly to the desired location. Mending of varying intensity is very useful to achieve the same goal. If you use the upstream mending - fly reduces the speed downstream and an added opportunity to dive deeper. If we do Mending downstream, we make fly to move across with increasing speed. This technique can cause salmon, but more often it is suitable for the first version, in which we have to handle a large area. High and cold water, season beginning, end of May – early June. under rapids holes , deep plum. 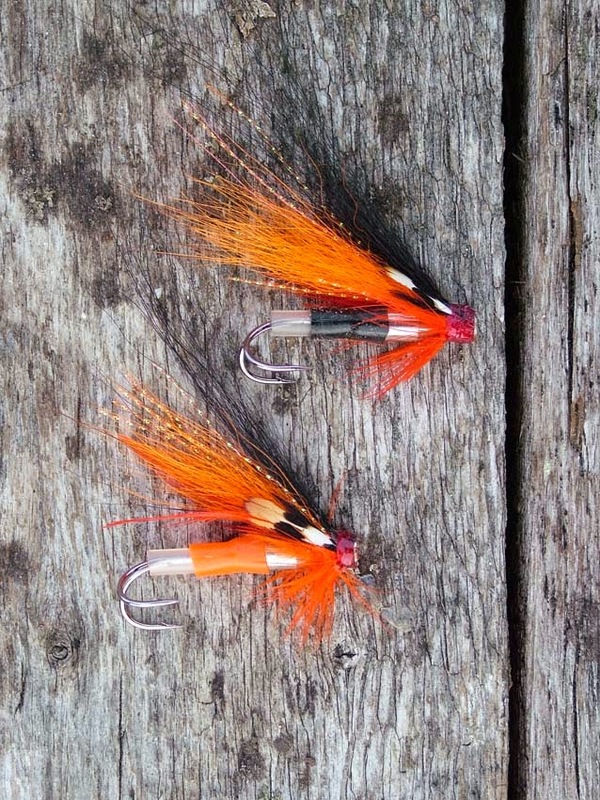 Bottom fishing by fast sinking line and large heavy flies. 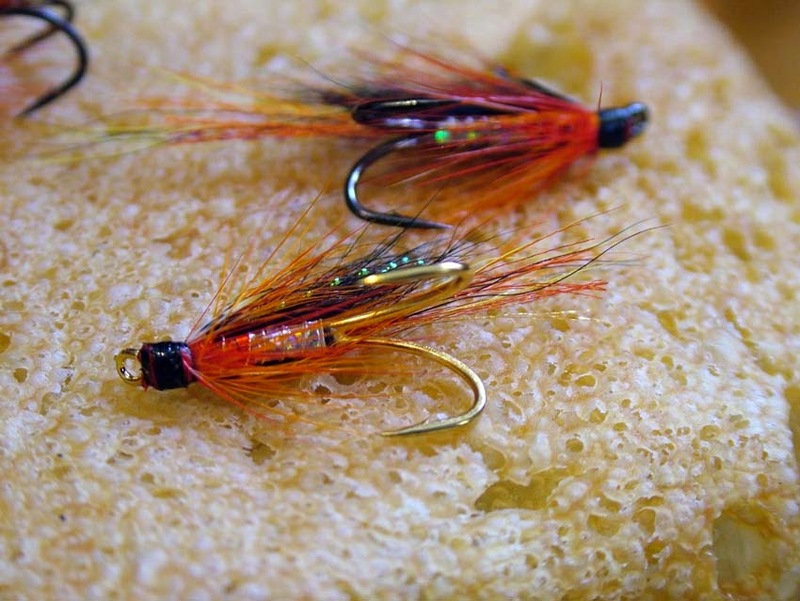 Flies - 2-inch copper tubes, Waddington and other heavy body, wing length up to 10-12cm. bright elements on the body flies. Slow, not a very deep pools, clamps along the river, small holes where salmon stays for rest. and other bodies are not very heavy, wing length up to 8 cm. Bright enough, wing - combination of red, yellow, green, black. and the level falls. First weeks of June. hooks № 2-4, wing length up to 6 cm. The wing is dark, but with bright elements, too bright elements on the body flies. Summer takes effect, light and water drops, warm up to 10-12 degrees. means bottom fishing by fast sinking line. hooks № 2-4-6, wing length 5 cm. The wing is mostly dark and bright elements on the body flies. In a slow, not deep water we use undersurface fly on a intermediate line. hooks № 4-6, wing length and 5 cm .Wing dark, bright elements on the body flies. the south coast of the Kola Peninsula. Season this year we started from May 15.
beginning of June, considered to be one of the best periods for catching salmon. 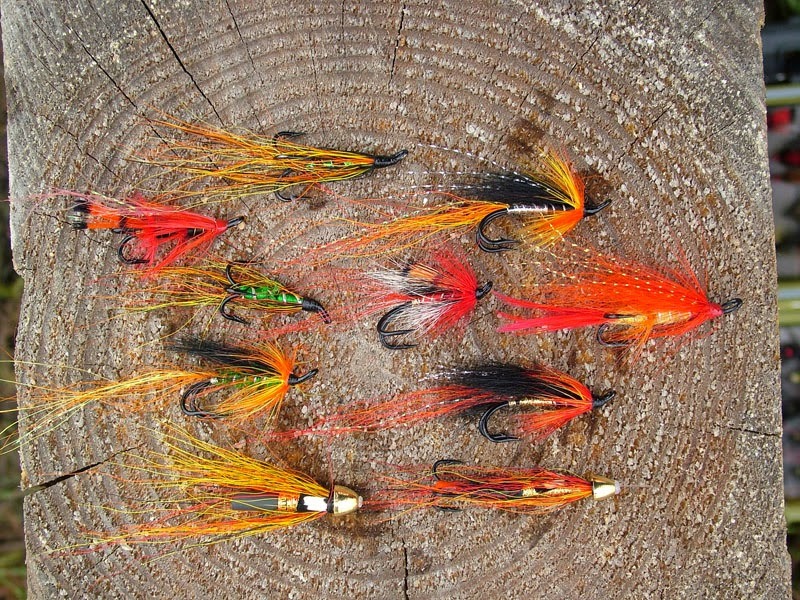 By autumn fish joins salmon that come into the river immediately after the ice melted. and 78-82 centimeters in length. Change in water level and temperature significantly affect the behavior of salmon. their numbers in the river. 2. Reduction comfortable fishing seats due to the high water level. and require different techniques of fishing.